Having guests over for a more formal affair? Having friends over for a party? Don't worry, you're furniture can adapt to the situation. 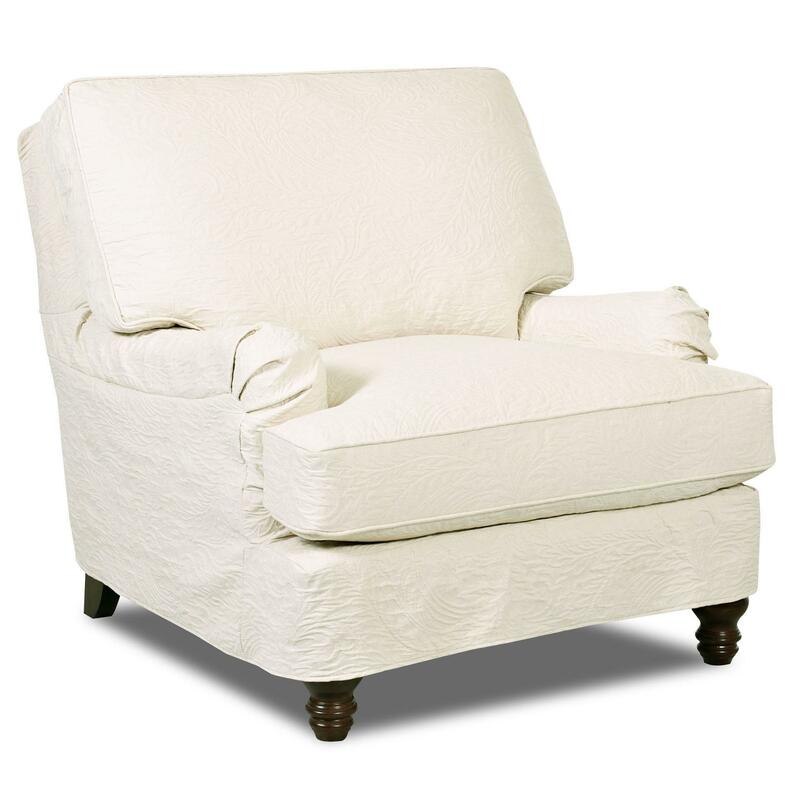 This chair features a slip cover that can be added or removed with ease, allowing you to simply change the look and feel of your living room atmosphere. The design of this chair includes a classic two over two cushion design. 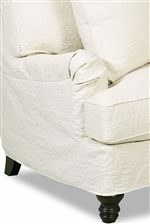 The T-Cushion features welt cord trim which establishes a very classic look. Charles of London arms; small, slightly recessed arms, are inspired by traditional designs that further the astute look of the chair. 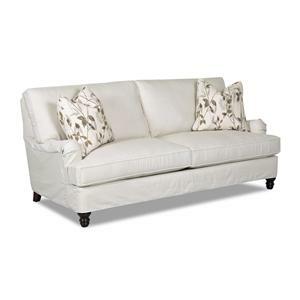 Turned legs support the chair and complete the timeless look this sofa accentuates. The regal style of this chair goes beyond the surface level. Down blend cushions and an accent pillow create a very comfortable sit, ensuring the comfort matches the quality. 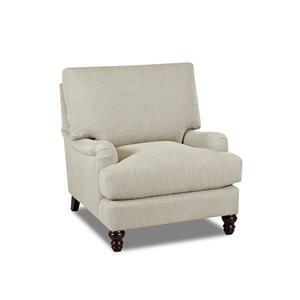 The Loewy Traditional Stationary Chair with Slip Cover and Charles of London Arms by Klaussner at Value City Furniture in the New Jersey, NJ, Staten Island, Hoboken area. Product availability may vary. Contact us for the most current availability on this product.